You’ll enjoy the west facing 180 degree views of both the sound & mtns from this tastefully remodeled top floor corner unit. This well cared for 2 bed/1.75 bath home has been extensively remodeled & is completely move-in ready. Skylights light up the updated kitchen w/cherry cabinets & high-end appls. Hardwoods throughout the living room w/plush new carpet in the master suite. Westerly deck allows for great sunsets. 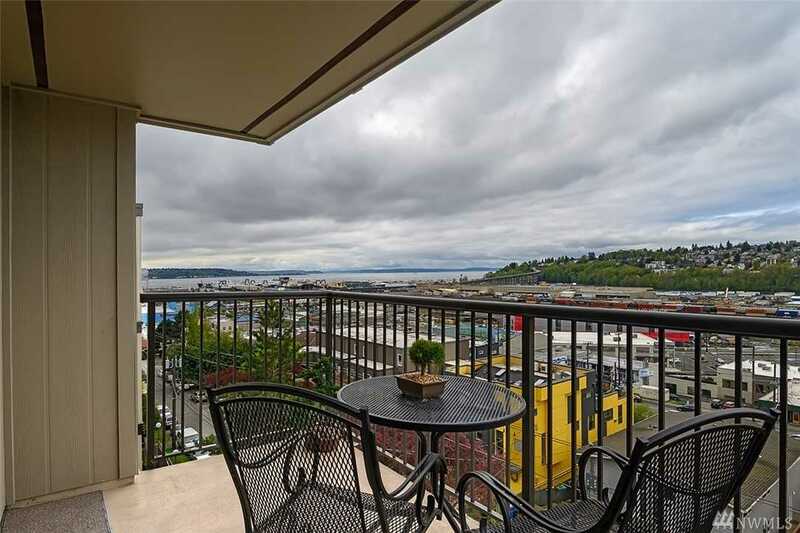 Close to Whole Foods, restaurants, Interbay & easy commute to downtown. Directions: From QA Ave, West on McGraw, South on 10th W, west on Howe, right on Gilman, condo on the left halfway down hill to Elliott. Complex on left. Guest parking in front.